Don't have an account	Sign up Now! Apex Integrated Solutions is Apex Integrated Solutions is FingerTec’s reseller located in Cairo, Egypt, specializes in security systems, networks and communication fields for local consumption. Early this year, Apex have assisted the Golden Tulip Flamenco Hotel to upgrade their workforce management system with additional sets of AC100C. 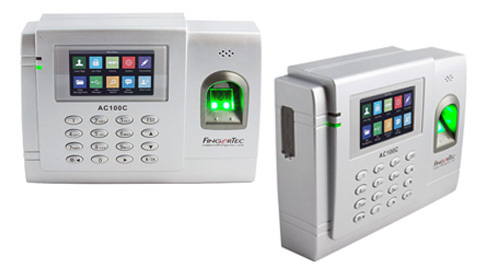 The hotel has been using FingerTec’s biometrics device to manage their workforce for a few years now and recently upgraded their purchase due to a massive expansion. Located in the center of Cairo in Zamalek Island, the Golden Tulip Flamenco Hotel Cairo is well known for more than 20 years for its outstanding service and value. Managing over 400 employees and regularizing the quality of the service provided is not an easy task. Additional sets of FingerTec’s AC100C was installed to accommodate staffs of all levels within the floor. Upon implementing FingerTec’s A100C the HR personnel and the reporting manager were able to skip the tedious manual attendance recording process and directly have access to all the accurate data related to all staff’s attendances from one system. With the addition of more machines, the employees can report their attendances conveniently. Operating on a 24/7, 365 days basis the hotel management has an immense commitment and responsibility on its shoulder of which the recent implementation has been a huge support to ease burden on the multiple shift management and the ability to connect to the payroll system to ensure data accuracy to both curtail wastage of time and money. The hotel is pleased with the user-friendliness of AC100C, the icons are straightforward and the device is easy to configure, and the complementary software provides great features for the workforce management. AC100C records fingerprint data of the employees to eradicate buddy-punching issue totally. The management hopes to see more improvement in the future and wishes to build a culture system to sustain the quality of its service and value in the many more years to come. © 2019 Timetec Computing Sdn. Bhd. All rights reserved.